What are the 1st steps to take when buying or selling a property in Minnesota or Wisconsin? 1. How is your credit? 2. How much money do you want to put down? 3. What Realtor would you like to work with? 4. What financing should you use when buying a home if you do not pay cash for it? Here are a few programs for you that we have access to to help you purchase a home. 1. We have access to 100s of homes for sale in Minnesota and Wisconsin that offer Owner financing. This is different than rent to own. Minnesota we call it Contract for deed in Wisconsin its known as a land contract. You can view the details on rent to own on our site as well. 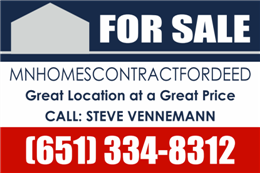 Sellers usually offer contract for deed terms on condo’s, town homes, lake homes, cabins,acreage,Hobby farms,and much more. They usually want 10% down of the sale price of the house to do a cd. Credit usually isn’t an issue. Self employed-Bad credit-cant get a loan this is a good option for you. 2. We have lenders who offer zero money down programs. 3. 1st time home buyers. 4. Rural area loans with as low as a $1000 down. 5. FHA programs are 3 to 3.5% down of the sale price of the house. 7. VA financing can be zero money down. See our Buyers down payment assistance programs under the top of the page just click the link. We work with Contracts on a daily basis and look forward to helping your find your dream home. I have been in business over 20 years.. The lease -option is a landlord-tenant rental relationship until the purchase is complete; The Minnesota contract for deed is a sale. A contract for deed sale will allow you to collect interest payments, which are generally more than you could collect in rent. Why would anyone want to buy a home on a contract for deed? Here are a few reasons. Bad credit-lenders won’t give a Mortgage to the purchaser. Self Employed. Lenders usually want 2 years tax returns to give a mortgage. After executing a contract for deed, a buyer takes immediate control of the property, Buyer agrees to make monthly payments to the seller, much like a mortgage. The seller retains title until the contract is paid in full. Because there’s no lender involved, a contract for deed gives the buyer and seller more flexibility when negotiating interest rates and the size of the down payment. Another advantage is that if a buyer falls behind in payments, the seller, unlike a mortgage lender, can’t demand payment in full; the buyer only has to make up the missing payments to restore the loan. The seller’s advantage is that a contract for deed is a simpler, quicker legal process than going through a lender. No appraisal’s needed unless the buyer wants one so the closing can happen very fast. Things buyers should do when buying a home contract for deed. Have the property inspected by a professional inspector; make sure any purchase agreement for the contract for deed is contingent on a property inspection even if a“Truth in sale of Housing”disclosure report is required some local municipalities. A Truth in Sale of Housing report will only list housing code violations. A professional inspection will alert you to major repairs that may be needed in the future that are not necessarily code violations. They can also give you cost estimates for the repairs that can help you negotiate a lower sale price or require the seller to repair the broken items. Have a plan in place on how you are going to pay for the balloon payment when it comes due. Consider working with BoardWalk Premier Realty INC we have been in real estate for over 20 years. We will be looking out for your best interests and negotiate the contract for deed terms on your behalf. Buyer’s agents are able to assist you with executing the purchase agreement and contract for deed addendum, preparing a market analysis, negotiating a purchase price, contract terms and repair items, setting up the closing and ordering the title work. Purchase homeowners insurance: Set up a monthly savings plan to ensure you have the funds for next year’s policy. Sellers usually will want to have the buyer escrow taxes and insurance. If that is the case the buyer will make those payments monthly to seller. Purchase title insurance and consider having a title company conduct the closing: The title company will search for any outstanding mortgage or mechanics liens and if they close the loan will ensure the contract is properly recorded. If there are any issues, the title company will alert you to them and will let you know what items need to be remedied. If issues arise, consult an attorney. A title company cannot provide legal advice but they have lawyers working for them and usually can resolve any issues that come up on the title. The Title company will Record the signed and notarized contract for deed. State law requires the buyer to record the contract within four months of signing the contract in the county recorder or registrar of titles in the county in which the property is located in. Recording is important to protect your rights to the property and to establish priority over liens that could be placed on the property. In order to be able to record the contract, the contract must include the legal description of the property and buyer and seller must sign the contract before a notary public. The closer at the title company will take care of this. Homesteading. Purchasing a home by contract for deed gives the buyer the right to homestead and take advantage of certain Property tax benefits such as the market value exclusion and being eligible to apply for the property tax refund. Mortgage interest deduction. As the legal owner, the buyer can claim mortgage interest deductions and real estate tax on their personal income taxes. Since contracts for deed typically do not require the seller to provide a year-end statement of interest paid, buyers should keep careful records of their payments. The Seller financing/Owner financing will have less stringent underwriting standards than a mortgage loan. Lower transaction costs. There are no origination fees, points, formal loan applications or high closing costs with a contract for deed. Even if closed by a title company, which is recommended, the costs are much lower than for a mortgage. Contract for deed in Minnesota is be a viable path to home ownership for those with credit challenges. Potential to improve credit score. Making timely payments on the contract can be a way to improve the buyer’s credit score. However, this will happen ONLY if the seller reports buyer payments to a credit bureau, most private sellers do not do this. THINGS TO BE AWARE OF..
HIGH contract for deed rates make sure the owner is not charging the buyer more than the usury Rate. Making sure the seller makes the payment if they have a Mortgage on the property. Length of the contract for deed. In MN there is no prepayment penalty. Late fee if payment is made late. Are you buying from a Home owner or an investor? It is common for the installment payments of the purchase price to be similar to mortgage payments in amount and effect. The amount is often determined according to a mortgage amortization schedule. Each installment payment is partial payment of the purchase price and partial payment of interest on the unpaid purchase price. This is similar to mortgage payments which are part repayment of the principal amount of the mortgage loan and part interest. As the buyer pays more toward the principal of the loan over time, his(her) equity (equitable title or equitable interest) in the property increases. The buyer has the right to sell the property and keep any equity above what is owed to the lien holder/Seller. The seller holds legal title to the land as recorded in documentation (deeds) in a government recorder’s office until the loan is completely paid off. However, if the buyer defaults on installment payments, the land contract may consider the failure to timely pay installments a breach of contract and the land equity may revert to the seller, depending on the land contract provisions. Since the contract for deeds in Minnesota can easily be written or modified by any seller or buyer; one may come across any variety of repayment plans. Interest only, negative amortizations, short balloons, extremely long amortizations just to name a few. In Minnesota the law states the contract for deed must be recorded. This does not make the contract invalid, but it does increase exposure to undesirable side effects. Minnesota, issue contracts without an acceleration clause, which in the case of a default leaves the seller in a position to either cancel the contract, discharging any principal deficiency, as in the case of deprecation, or to litigate for 18 months or more while letting the buyer, if not a corporation, retain their rights to the property while collection attempts are made, by which time the buyer will often qualify for bankruptcy, making the contract, when lacking said acceleration clause, effectively an installment option, when the buyer has no other lienable assets. What do I need to know when buying or selling a home on a contract for deed? What do I need to know when buying or selling a home on a contract for deed? Tax Benefits write off the cd interest on your tax returns. Build equity verses paying off some elses mortgage. Save $1000 on closing costs- NO origination fees-lender fees. NO BANK Qualifying Very quick closing if the home is vacant as quick as a week. The rental market is really expensive right now it costs more to rent a home in the twin cities metro area's than it costs to buy one. That is something to think about. ***Remember there is alot to know when buying or selling a Property with contract for deed terms. 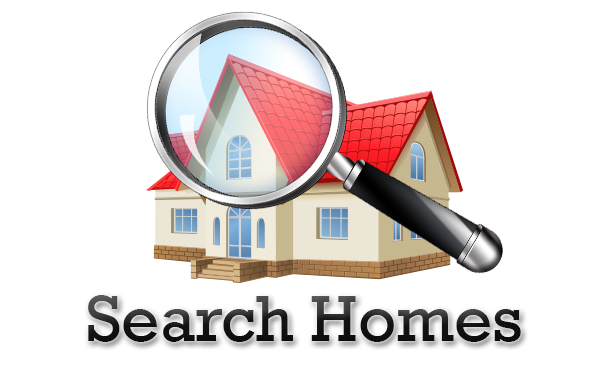 We can take the stress out of researching properties for you. *** Inventory remains near a 10-year low, and year-over-year double digit price increases are almost becoming standard. These are two sure signs of a sellers’ market and if they both continue, smart sellers will be able to entice buyers for their properties at a fair price. Terms are negotiable between the buyer and seller. Typical rates are 5-7 % Length is usually 3-5 years. Down payment is usually 10% down of the sale price of the house.